was founded in October 2009 and is located at Marsina St, Lae. Highlands and New Guinea Islands region. right time and in the right place, LIH aims to provide this to every patients that visits the hospital. management of the patient’s specific health needs. adverse physiological consequences and potential complications. required to meet patient’s health needs. connection with all visa applications for Australia. Medical Excellence and Leadership – Delivering Quality Health Care. Lae International Hospital’s would like to introduce Dr Joni Marquesto. Dr Joni has been a key team member of LIH since the hospital opened in 2009, being fluent in Pidgin, English and Tagalog she enjoys engaging with patients and clients from diverse backgrounds. 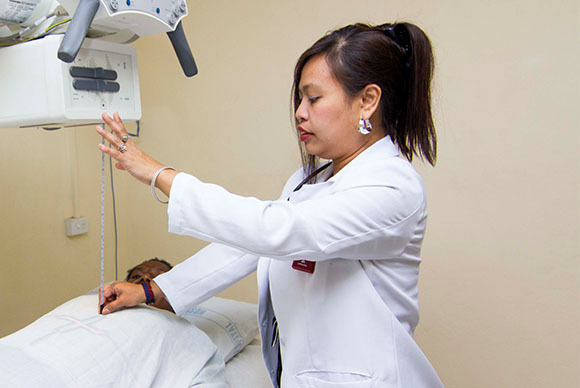 Dr Joni completed graduated with as a Doctor of Medicine in the Philippines and then went on to train as a specialised Radiologist for an additional four years. As a Radiologist Dr Joni’s expertise is to complete patient’s Ultrasounds and X-rays. She will interpret the results and identify medical conditions. Dr Joni also enjoys assisting expectant mothers have routine scans during their pregnancies. Dr Joni and our CMO, Dr Juele are accredited Panel Physicians for the Australian and New Zealand High Commission. If you are planning to travel overseas, book your Visa Medical today! Contact LIH on 472 7133 or 70 544 501 to schedule your appointment. Dr Peter YamaObstetrician,Gynaecology and General Surgery. Lae International Hospital’s would like to introduce Dr Peter Yama. 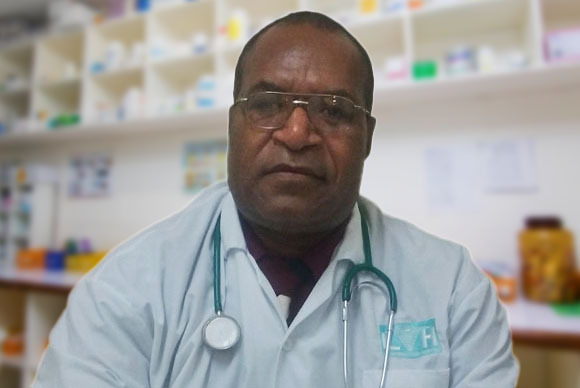 Dr Yama has recently joined our specialist team at LIH from Kimbe General Hospital, West New Britain Province. Dr Yama completed his training at the UPNG and graduated in the year 2000 with a Bachelor of Medicine and Bachelor of Surgery (MBBS). Dr Yama completed his specialist training in Obstetrician and Gynecology and General Surgery. He is currently the head of LIH’s Obs/Gyne Department. Some of the services Dr Yama runs at LIH include; weekly antenatal clinics, weekly gynecology clinics, child birth supervision with midwives 24/7, emergency and elective obs&gynae surgeries including cesarean sections and lapratomies. Lae International Hospital would like to introduce Dr Melvin Ocleasa. Dr Ocleasa is a highly experienced and certified General Surgeon. Dr Ocleasa has a keen interest in orthopedic surgery and takes every opportunity to advance his expertise in this field. Dr Ocleasa completed his medical and specialist training in the Philippines at the University of Gullas College of Medicine in Cebu. 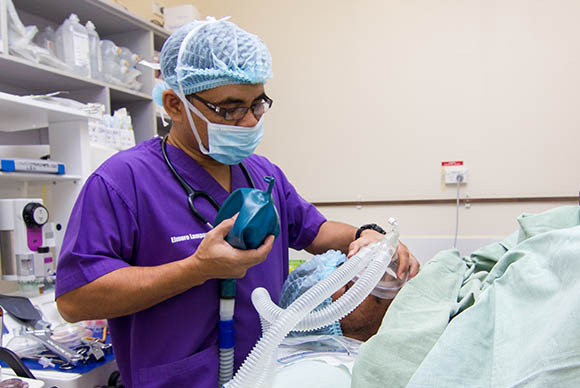 Dr Ocleasa and his whole team of highly qualified Operating Theatre staff strive for excellence and advancing the surgical services provided at Lae International Hospital. Lae International Hospital’s would like to introduce our Chief Medical Officer (CMO), Dr. Noemi P. Juele. 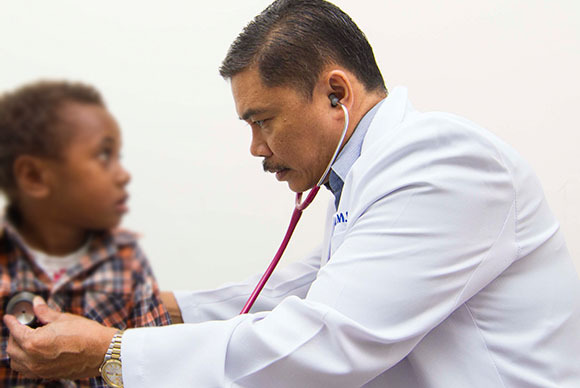 Dr Juele is a highly experienced and certified Pediatrician. 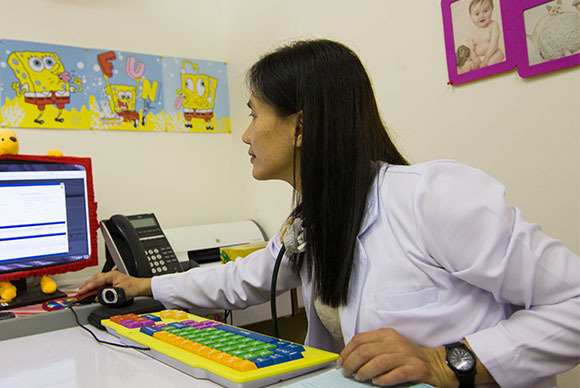 Dr Juele completed her medical training in the Philippines at West Visayas State University in 1994 and went on to specialize in Pediatrics at Bacolod Doctors Hospital in 1999. Dr Juele has been providing medical care in PNG for over eight years, demonstrating her understanding of Papua New Guinean culture and commitment to improved health outcomes. Dr Juele has a keen interest and has a vast experience working with the food service industry. She is training in the health requirements of various Food Safety Management Systems including HCAAP, ISO, BRC, NFA, DOH standards. Lae International Hospital’s would like to introduce Dr Edgar Lumpay. Dr Edgar is a highly experienced and certified Internal Medicine specialist. Dr Edgar completed his medical training at South Western University College of Medicine in the Philippines in 1991. Dr Edgar has completed in-service training in cardiovascular disease. Dr Edgar is passionate about preventative medicine and chronic disease management.